Your front porch is the gateway to your home; the first thing people see when they come to your house. It serves as both a decorative accessory and a place to kick back, relax and just enjoy life. A good-looking front porch can make a house feel that much more like a home. Your options are practically endless when it comes to creating a decorative concrete front porch. Here are some inspirational ideas for a concrete front porch that will soon become your favorite part of the house. 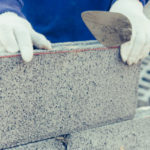 If you have an older concrete patio in need of some sprucing up you can easily give your patio a facelift without ripping anything up and starting from scratch. If your concrete is still in good condition all you need to do is add a decorative overlay. Get creative with the overlay you select, for example transform regular concrete with a diamond pattern overlay and dark stained grout. Adding a decorative overlay makes it look like you got an entirely new patio without breaking the bank. Plain concrete doesn’t have to stay grey and ordinary. There are plenty of ways to dress up new concrete. Adding engraved patterns can make your concrete look far less industrial. Engraved concrete looks superb when matched with brick home exterior. No matter how you use concrete stamps it will grant your concrete a more high-end look. Make your patio pop by matching the patio steps to a stamped concrete porch. This provides a unified and seamless look that brings the front of your house together. If you keep your steps and patio the same color you can play around with more color in other areas. Using a dark stamped concrete looks especially nice with white accents, such as thick white pillars or stair railings applied to either side of steps. 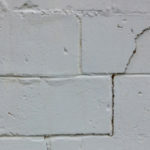 Your concrete porch can be made to look like brick without the money and efforts it takes to install authentic bricks. If concrete is freshly poured you can add the look of brick by using the stamped concrete technique discussed above. Another option is to cover existing concrete with an overlay, using stencils to create the brick pattern. With this method you have the option to pick whatever brick and grout colors you desire. If brick isn’t the look you are going for you can transform your concrete patio into what looks like beautiful planks of wood. Concrete that looks like wood offers the pretty appeal without all of the hassles, such as regularly sealing and staining, associated with real wood patios. Concrete has a very industrial look to it, but it is a solid material that people love to use for building porches, sidewalks and so much more. Decorative concrete is ideal because it is more appealing and less industrial, but still offers all of the benefits of traditional concrete. 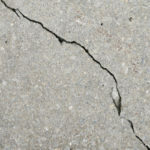 All that it takes to turn basic gray concrete into stand out flooring is either texturized treatments or acid etching. While painting concrete isn’t easy and takes a good deal of time and patience the end results can look stunning. You will need to start with a good primer, followed by high-quality latex paint. Once dried, you will need to add several layers of sealant for protection. Concrete overlay serves as a decorative covering for your front porch. Think of it like adding new cushion covers to your couch; you are changing the aesthetics without switching out the foundation. Concrete overlay is a great idea if your concrete is in fairly good shape but has a few chips or eyesores you want to cover up. Before applying concrete overlay the porch needs to be thoroughly cleaned and all cracks need to be filled in. It is recommended to rough up the surface before applying the overlay. You can add stain as well as other decorative elements, such as glass or color chips, to make your concrete overlay look that much better. Make your concrete porch more decorative by using concrete stencils. Start with cement paint, wait for it to dry and then apply pre-manufactured stencils over the paint. Once the stencil paint has dried you will cover the entire porch with two coats of sealant. You can stain almost any concrete porch with a water-based concrete stain, available in a wide variety of colors. Once the stain is applied several layers of sealant are added on top in order to help protect concrete surfaces. Acid staining is similar to staining although it adds a translucent appeal as opposed to the opaque appeal offered by staining. This gives your concrete a more texturized appearance. Looking to install or restore the front porch of your dreams? 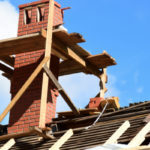 Contact the experts at Turnbull Masonry for the best service in town, guaranteed!